For four years, thousands of rafters floated down the Ocmulgee River in what was called the "Biggest Floating Party of the Year." 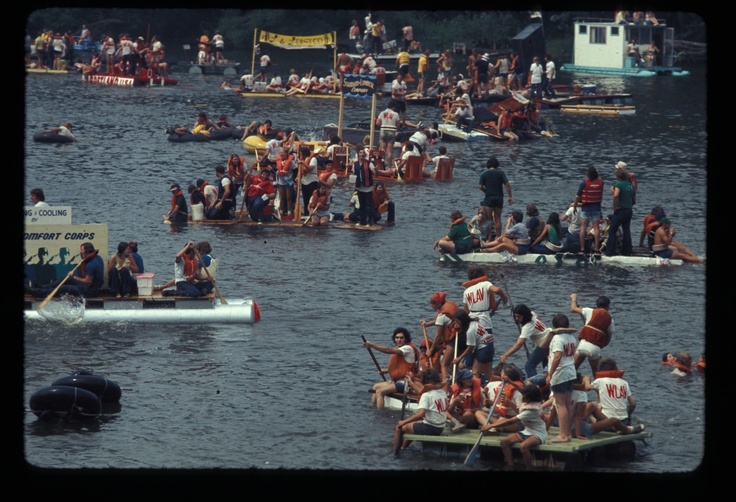 The Ocmulgee River Raft Race, Co-Sponsored by 13WMAZ and Budweiser advertised the event as a raft race, but there wasn't much competition among the participants; most people were more concerned in keeping the beer cold than setting any race records. Thousands of rafters piloted their way down the Ocmulgee River in Raft Race sponsored by 13WMAZ and Budweiser. Participants came from all over the surrounding counties to take part in the race. The river race began on a Saturday at 7am and went well on into the evening. More than 3,000 people participated in the river race in 1,000 boats and rafts. The WMAZ-Budweiser Raft Race course was 6 ½ miles long. The race began north of downtown Macon at the River North Bridge at Arkwright Road and ended at the Spring Street boat landing in downtown Macon. As a participating co-sponsor, Budweiser brought along the “Miss Budweiser” hydroplane and the Budweiser Hot Air Balloon and stationed those vehicles at the end of the race route. Budweiser beer was given to rafters who registered, but participants also came equipped with their own spirits and supplies. According to Macon Telegraph archives, due to the tremendous turnout in 1978, three additional ramps had to be installed to ease the traffic congestion for the 1979 race year. Over 150 people from the community volunteered their time and to help with the race including city police, civil defense workers, American Red Cross, Game and Fish commission officers and members of the Macon Motor Boat Club. 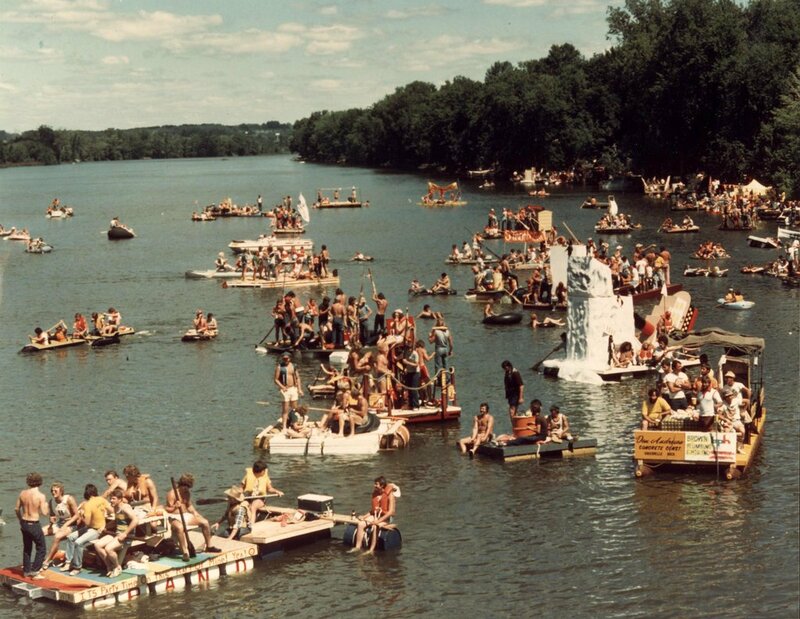 Throughout the race’s 4 year run, the boats and rafts ranged from modest to elaborate; from inner tubes out of old tires to intricate rafts built with charcoal grills and stereos. Rafters were encouraged to design their floats to be creative, functional and fun. Many rafters found it difficult to keep their beer cold and their raft afloat, so most participants who entered the race were not at all concerned with winning. Some rafts sunk at the starting line, others half way down the river route. 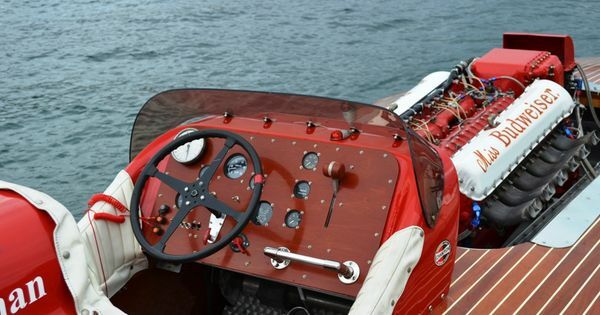 Some of the most notable boats from over the years included a vintage red Volkswagen Beetle car, USS Budtanic and an inflatable Air Force One. Those who did not enter the race camped along the shoreline complete with their own cheer sections and celebrations or packed onto the Spring Street Bridge overlooking the finish line. The River Race earnings raised benefited the Macon-Bibb County Beautification, now known as Keep Macon-Bibb Beautiful Commission. Monies from the raft race went back into the community of Macon and were used for landscaping and beautification projects in and around the city. The Ocmulgee Raft Race ended its four year run in 1981, but there are talks of reviving the race again.